Here's my updated Valentine's Day Crime Fiction list. 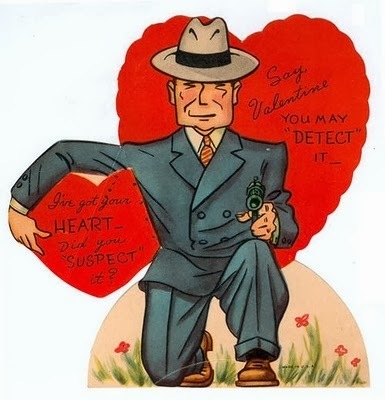 Be sure and check out my other blog, DyingforChocolate, for Valentine's Day Chocolate Reviews, Recipes, and Vintage Chocolate Ads. February 14, Valentine's Day, is also International Book Giving Day, so books are the perfect Valentine's Day gift. Bundle some of the following Valentine's Day Mysteries with a box of chocolate truffles, tie it all up in a red ribbon, and you're good to go! As always, let me know if I've missed any titles! I love these holiday lists from you, Janet!